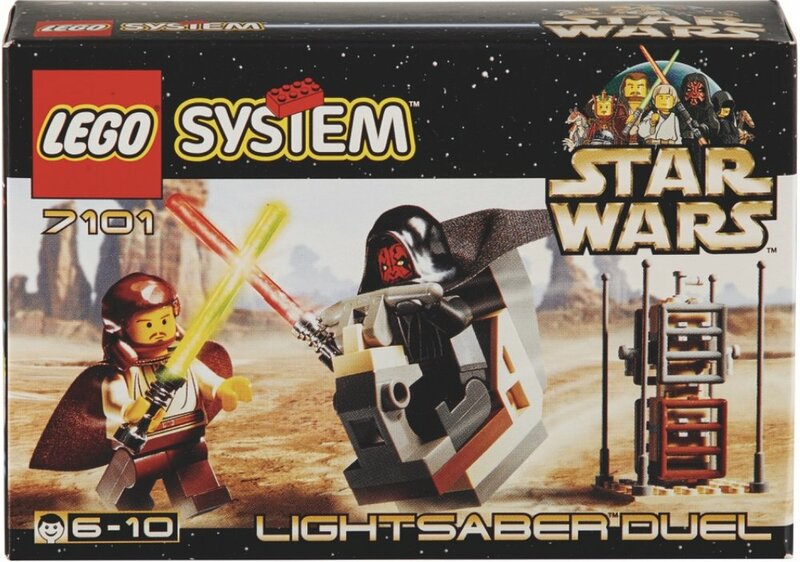 It’s crazy to think that this year is the 20th anniversary of both Star Wars: Episode 1 - The Phantom Menace and licebsed Star Wars LEGO sets. 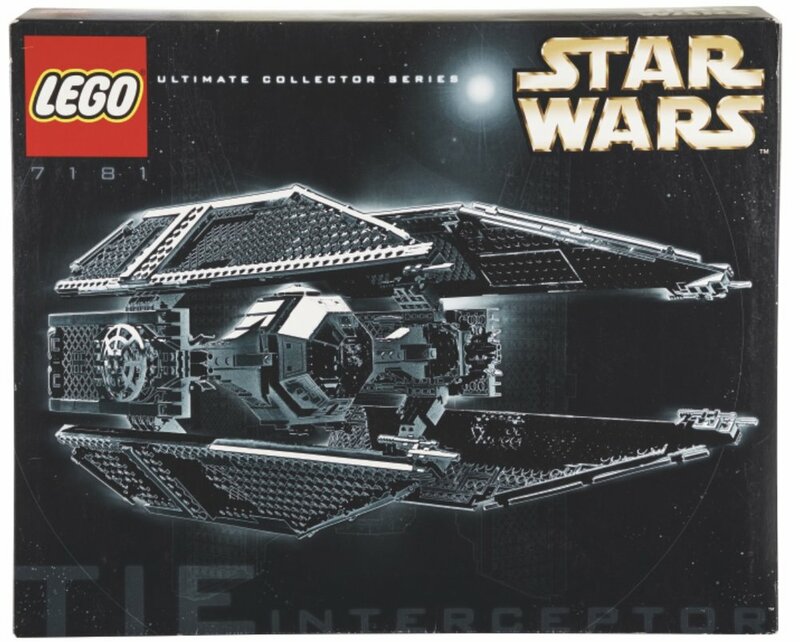 I distinctly remember a time before Otoh Gunga, “Duel of the Fates,” and podracing, when anticipation was high and theories ran rampant, but it feels like Star Wars LEGO bricks have just… always been there. I don’t know, maybe it’s just me. 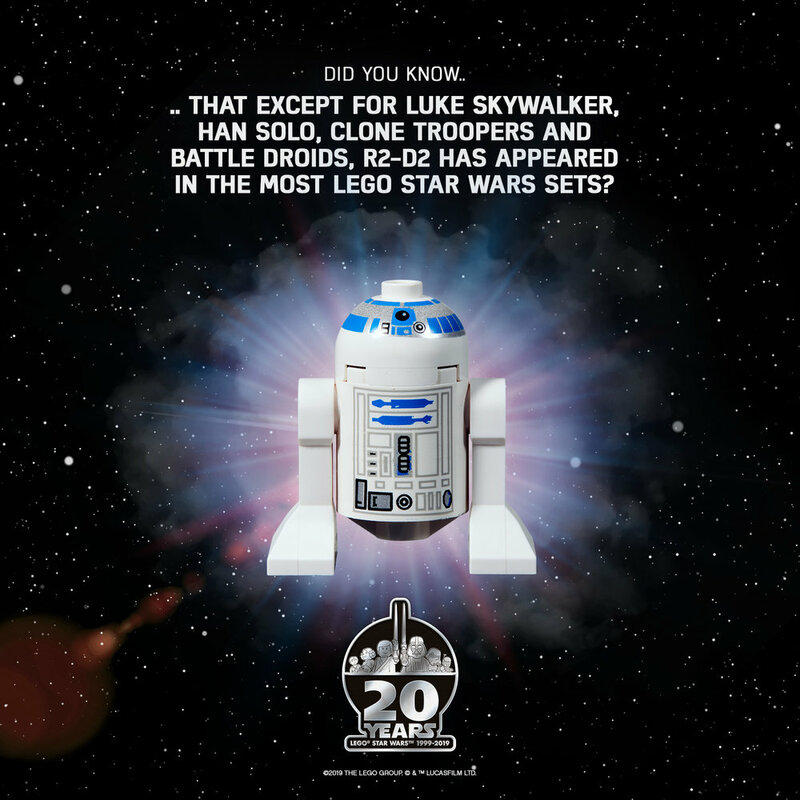 But yes, it’s been two decades since the first LEGO sets based on Star Wars characters, vehicles, and locations debuted, and the fine folks at LEGO are rightfully celebrating. 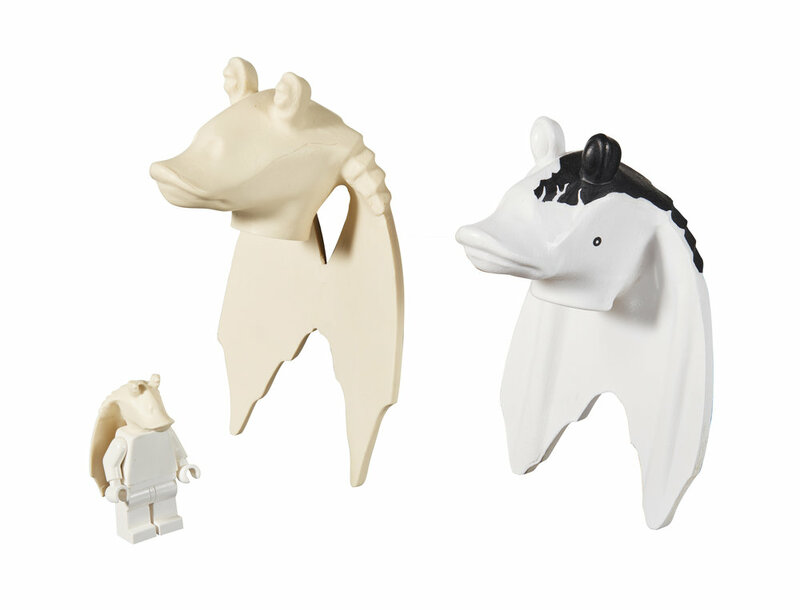 Check out the details below for a first look at their upcoming anniversary sets, along with plenty more goodies to be enjoyed by Jedi and Sith alike. 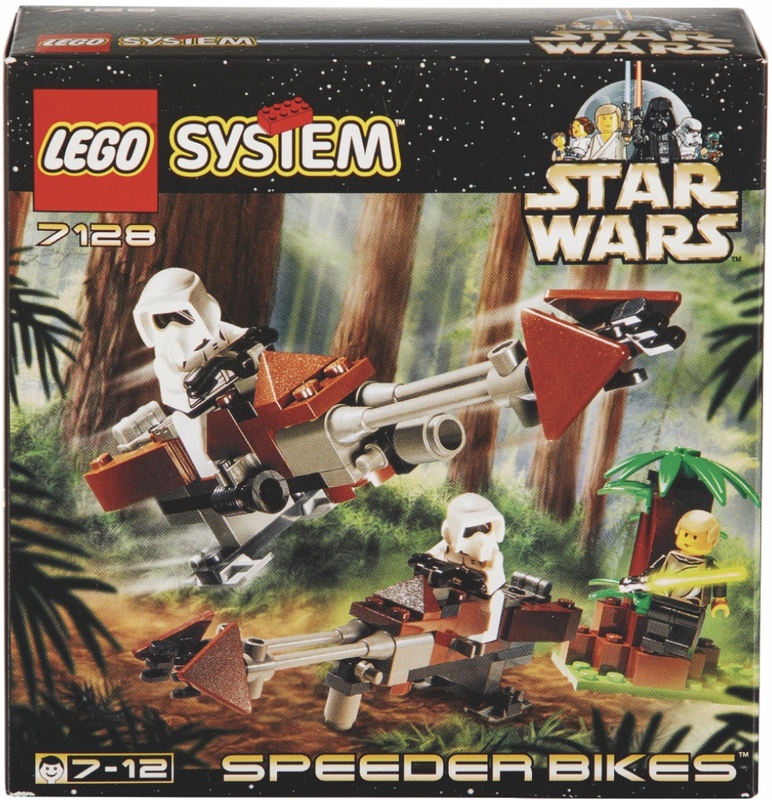 Deploy the troopers with the LEGO® Star Wars™ Imperial Dropship! 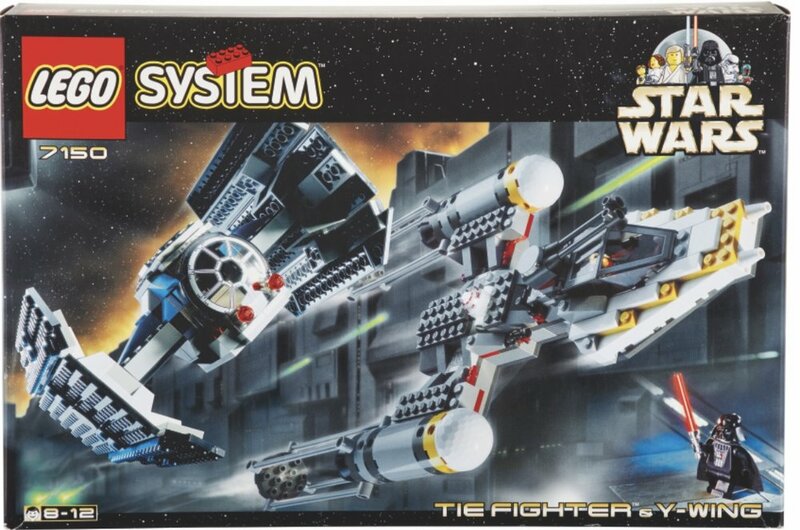 Load them onto the platform and store their stud blasters for the flight. Then sit the Shadow Trooper in the cockpit, fire up the engines and blast off for another exciting battle against the Rebels! 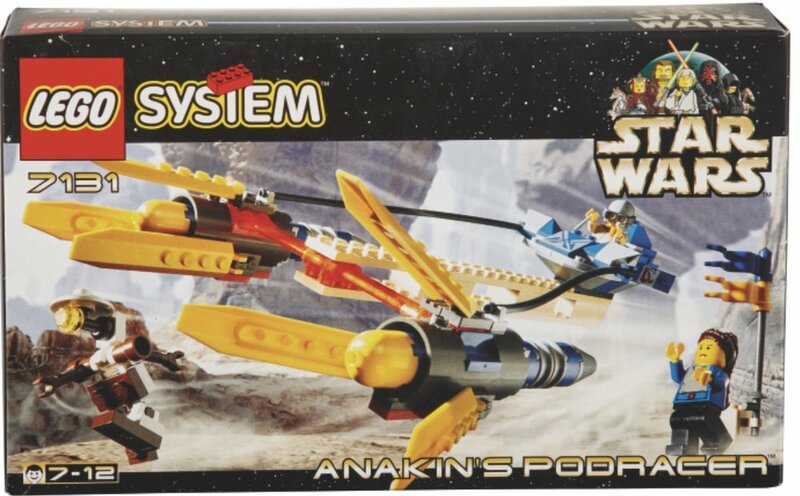 Speed to victory in Anakin’s Podracer! Sit young Anakin Skywalker in the cockpit and lower his goggles ready for the race. Then fire up the huge engines, grab the play handle and zoom through the canyons of Tatooine… or your living room! With Anakin at the controls, victory is yours! 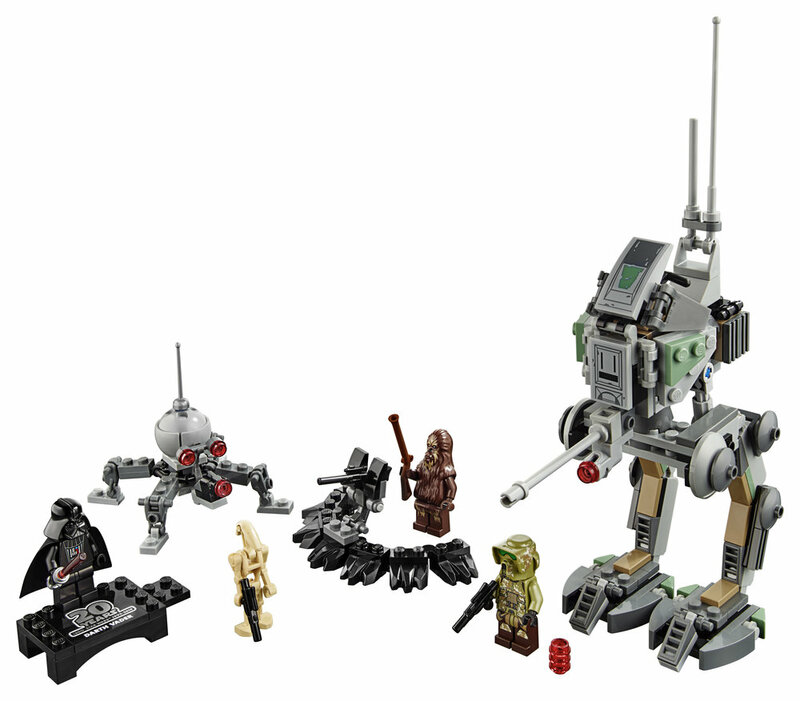 Protect the Wookiee warrior with the armored Clone Scout Walker! Sit the Kashyyyk Trooper in the seat of the armored AT-RT Walker and stride in battle. Turn and fire the stud shooter before the Dwarf Spider Droid destroys the trench with its own stud shooter. The Clone Army must win at all costs! Build Boba Fett’s personal Slave I starship and travel with him through the LEGO® Star Wars™ galaxy in search of fugitives! Grab the handle and fly him around. Pull the triggers to fire the spring-loaded shooters. Load Han Solo trapped in carbonite into the hold and deliver him to collect your payment. It's another exciting day in the life of a bounty hunter! 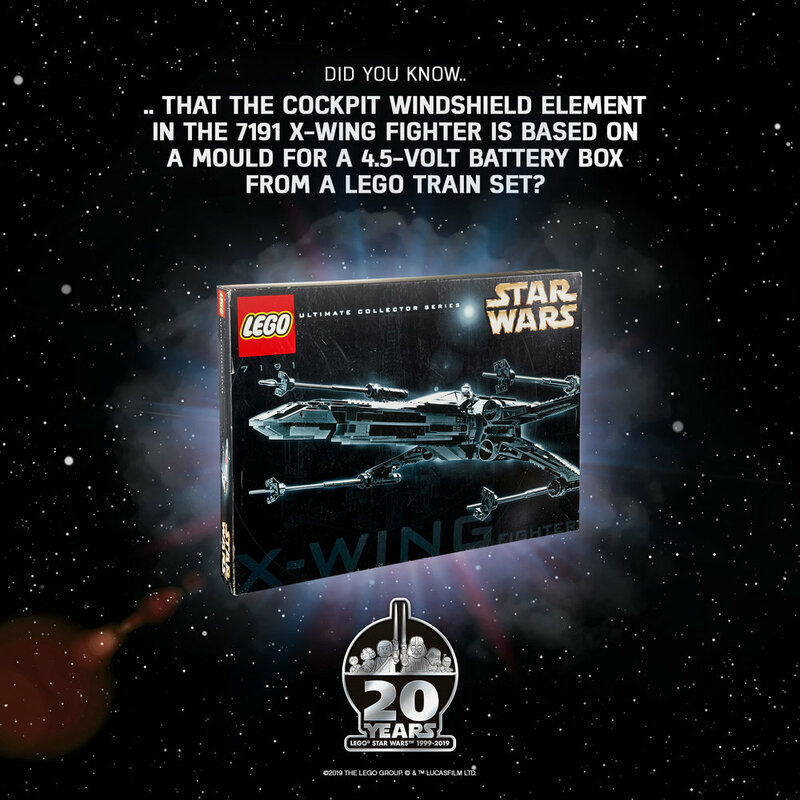 Just for fun, LEGO have also released a bunch of cool bits of trivia regarding Star Wars and their relationship with a galaxy far, far away. 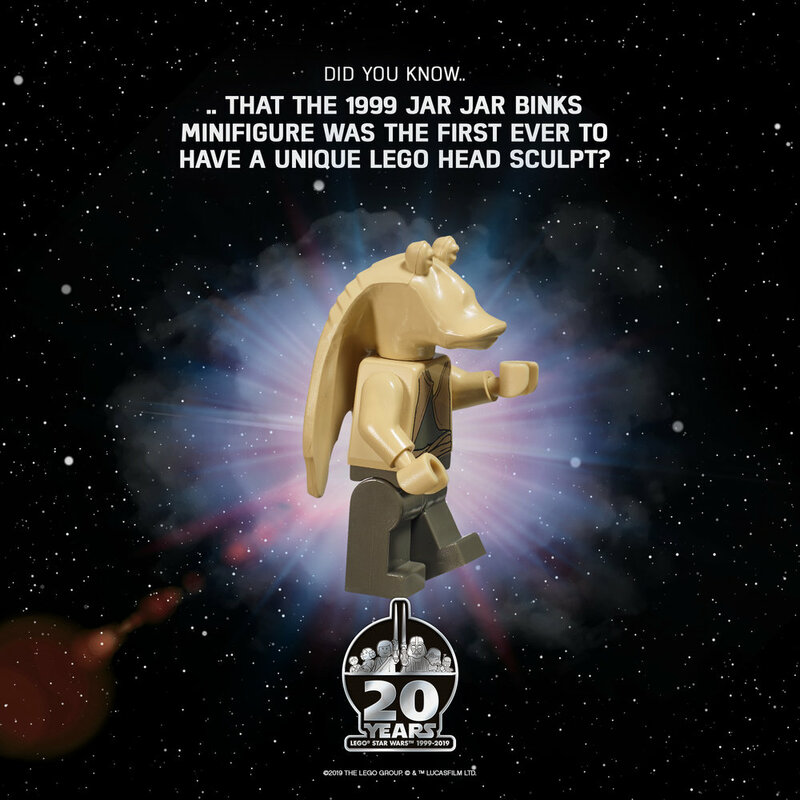 The launch of LEGO® Star Wars™ is announced at the International Toy Fair in New York, February 1999, by the LEGO Group and Lucas Film Ltd.
Before launch of new LEGO® Star Wars™ sets are exposed to heat similar to the stress caused by one year of sun light through a window. The oven used for this purpose, however, was too small to fit the #10179 UCS Millennium Falcon™ from 2007. Instead, the team had to find a sauna in a public swimming pool. It worked! 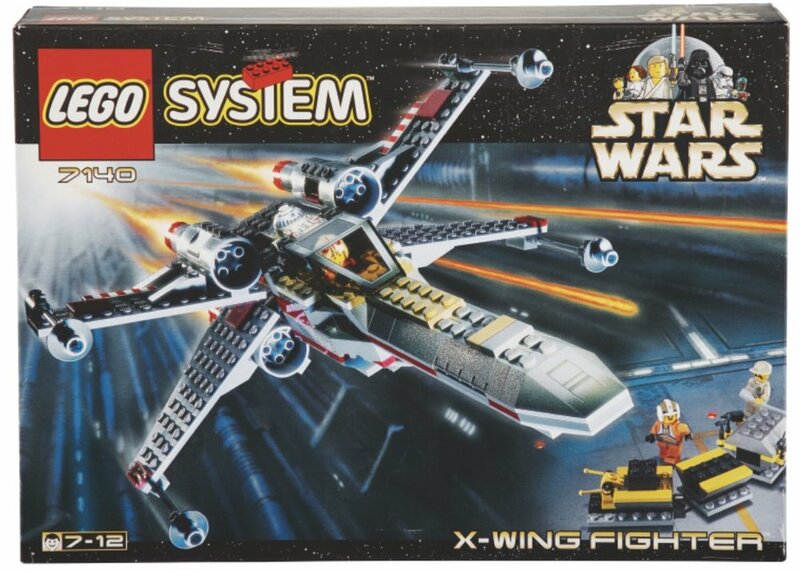 Finally, enjoy a gallery of odds and ends, from the look of the Millennium Falcon throughout the years to the evolution of minifigs to some of the very first licensed Star Wars sets to ever be released.